Fundacja Pamięć, Która Trwa - Gorajec Zagroble – November 15, 2015. 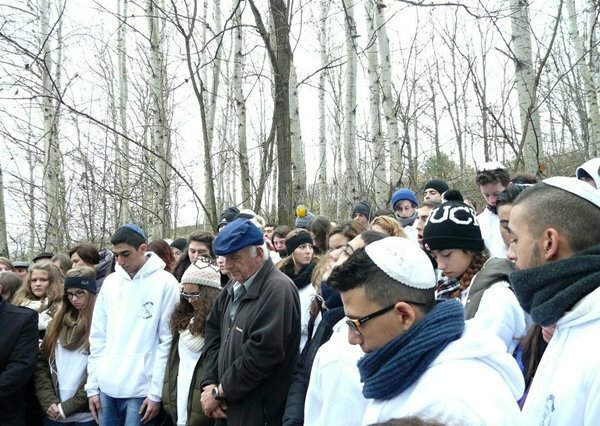 The ceremony was attended by the youth from the area of Beer Sheva in Israel, mayor of Radecznica - Edward Polak, administrator of Gorajec Zagroble - Teodora Wypych, principal of Junior High School in Gorajec Alina Smarkala with the teachers and students, president of the Lasting Memory Foundation Zbigniew Niziński and residents of Gorajec and Radecznica. A welcome speech was delivered by the mayor Edward Polak who recounted the life and extermination of Jews in Gorajec and vicinity. In May 1942 the Germans came to Gorajec and abused the Jews by cutting off their beards. As the Jews were running away into the fields, the Germans started firing at them. Among the victims were women and old men. 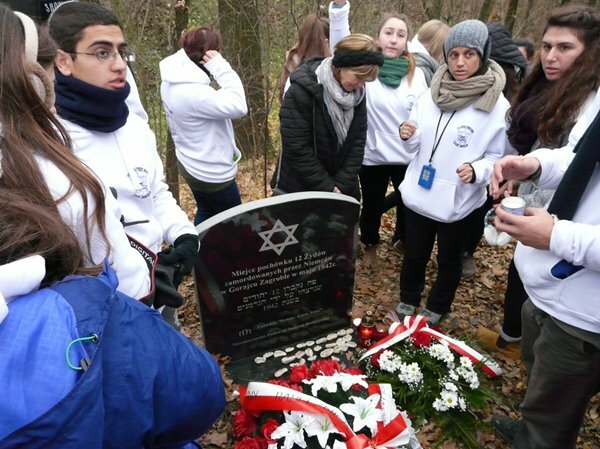 After the departure of the Germans, the dead were buried in the forest by the remaining Jews who were soon deported to Szczebrzeszyn. 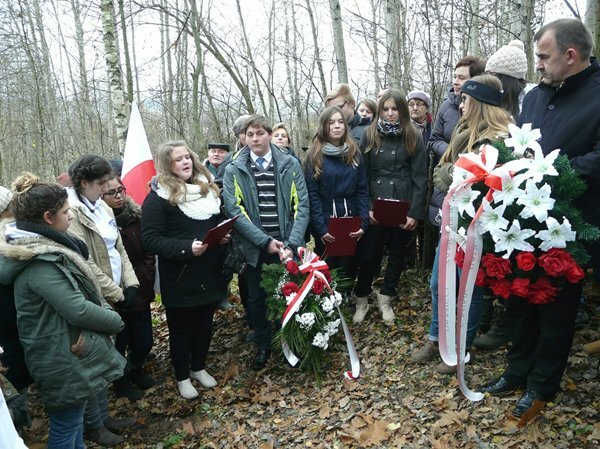 The students of Junior High School in Gorajec and the youth from Israel performed poems and songs referring to World War II. 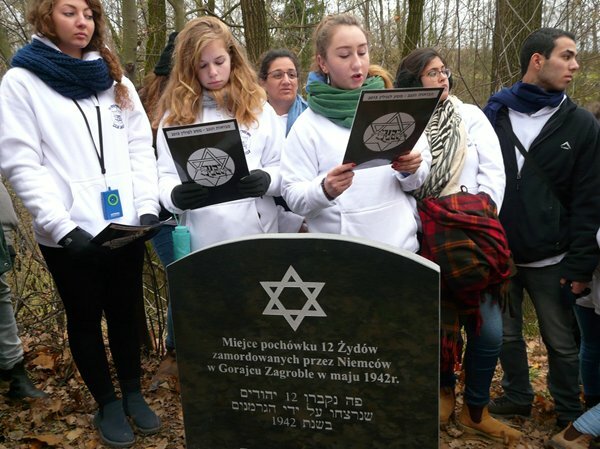 The participants sang hymns of Poland and Israel. The mayor and the principal lay wreaths at the Memorial and the youth held hands as a sign of gratitude. 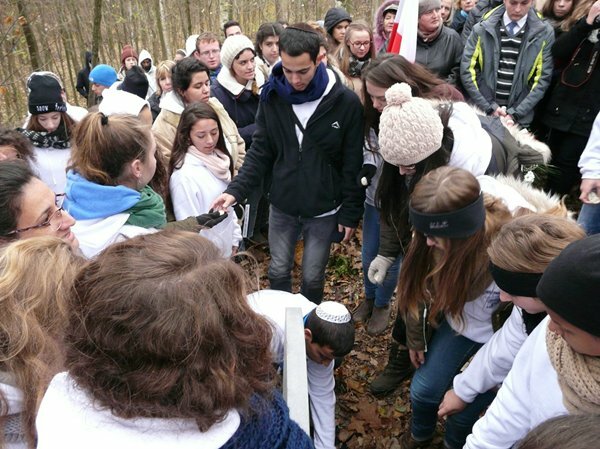 The participants were reminded of a tree which had been planted on the grave by the forest owner with the intention of marking it. 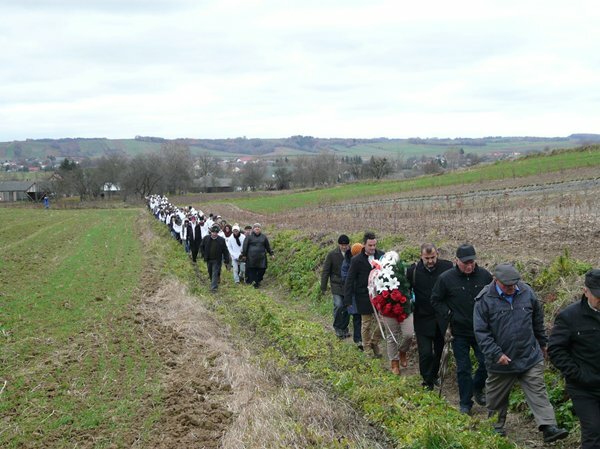 Now the memory of the dead has been reinforced with the Memorial and the presence of so many. This sanctification was enabled by the funds of Association of the Jewish Historical Institute and the support of donors from Orange County, JFFS, California.